Delicious and bountiful blackberries and raspberries can be grown in your backyard by utilizing the resources found in this section, including tips on trellising. North Carolina’s diverse climate conditions, from the mountains to the coastal plains, allow backyard growers the flexibility to grow blackberries or raspberries depending on where they live. The materials in this section are intended to help those interested in adding blackberries or raspberries to their home garden. Blackberries tend to do better in hotter conditions and can tolerate the fluctuating winter temperatures – suitable for folks in the coastal plains or Piedmont regions. Raspberries, on the other hand, thrive in cooler weather and prefer sustained winter temperatures that are lower – ideal for growers in the mountains and western parts of the state. Regardless of location or choice of berry, we encourage everyone to learn more about the benefits of these delicious and delightful fruits. This section of the Web site will be expanded as more materials become available. In the meantime, please check back often for new resources. 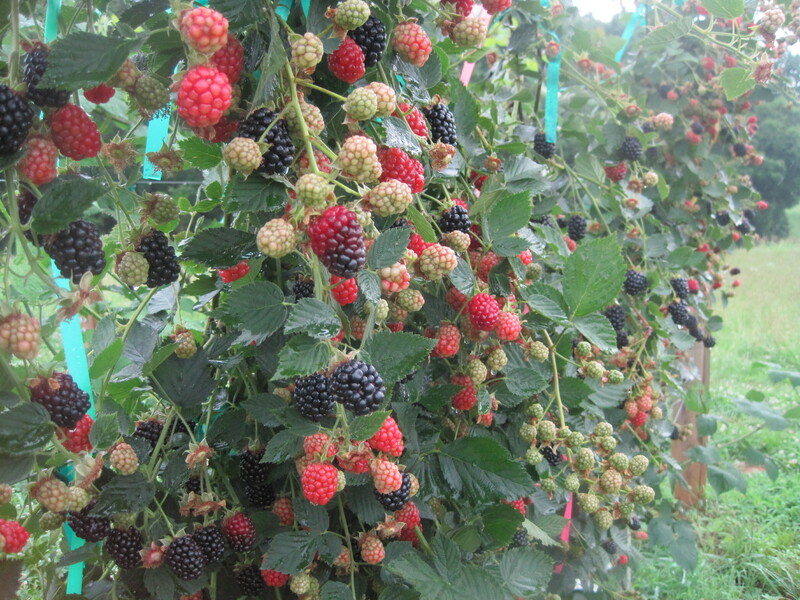 A blackberry production checklist for home growers. Site preparation, establishment and maintenance, and blackberry varieties are covered in detail in this how-to document from N.C. State University. 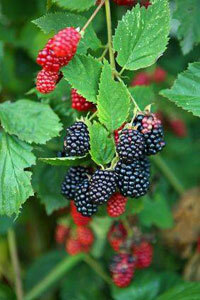 This guide is for individuals interested in growing blackberries commercially. However, many of the practices described can be adapted for use by homeowners. Homeowners may also want to experiment with a wider range of varieties than recommended in this publication. An N.C. State University publication. This white paper from the Washington Red Raspberry Commission summarizes the key nutritional attributes of raspberries, including the health benefits of raspberry consumption as they pertain to cancer, aging & cognitive function, cardiovascular health, obesity, diabetes and weight management. Biological control is using a living organism to control a specific pest. Biological control methods can reduce the legal, environmental and health hazards of using chemicals in the garden. This N.C. State University resource will introduce home gardeners to biological pest control and how they can use it to their advantage. What do North Carolina home gardeners need to know about spotted wing drosophila? This Q&A offers insight into why the spotted wing drosophila (SWD) is a threat to soft-skinned fruit, where they can be found and how they can be managed.